Jinks Crow and Dickson, P.C. Mr. Dickson joined the firm in 2005. His clients include individuals who have been injured or had loved ones killed because of the negligence of others or as the result of defective products, including automobiles, boats, defectively designed or maintained roads, pharmaceuticals and medical devices, and heavy equipment. He also represents individuals and small businesses who have suffered financial loss due to the wrongful acts of others, including defective farm and logging equipment, tainted agricultural seed, site-built and manufactured home construction defects, breach of contract, fraudulent and inappropriate investment products, fraudulent misrepresentation, deceptive trade and business practices, breach of warranty, and insurance bad faith. His practice also includes handling matters in equity, including estate litigation, land partitions and sales for division. 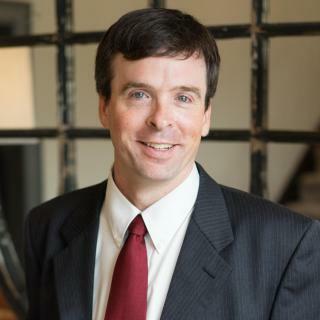 Mr. Dickson is active in both his local community and the legal field. His community involvement includes: recreation board president and coach, county school board member, church Sunday School teacher; Bullock County Democratic Party Executive Committee member; City of Union Springs city attorney. He and his family live in Union Springs. Initial consultations are always free and confidential. Our fee structure is flexible depending on the case. Most cases we pursue on behalf of clients we handle on a contingency basis where our fee is a percentage of what we recover for you.